=> Message your friend in a snap. Receive notifications the moment they reply back. => Express your emotion with fun and cheerful emoticons and stickers. 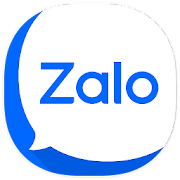 Download Zalo and chat with your friends!